Homeschool ideas can spice up a mundane routine, and make learning fun for parents and kids who are experiencing burnout. Poetry Night - Teach your children about poems and poets by hosting a poetry night. Have each member of the family recite a favorite poem, and provide background information about the style of poetry and the poet. As an alternative, take turns reading poems from a favorite book or place poems written by family members into a book of your own. Family Business - Starting a family business is a great way to build math skills and encourage entrepreneurship. Let your children sell homemade items, wash cars, walk pets or perform odd jobs for neighbors. Teach them to develop a business plan that includes choosing a valuable product or service, setting a fair price, estimating their expenses and setting realistic goals. Help your children think of creative ways to market their business. Remember to carefully supervise younger children when they are performing services for others. Special Days - Set aside special days in your home to let your children spend the day in their pajamas, wear a specific color or dress up as a favorite character. For fun, let family members experience each other's lives by switching roles or impersonating each other. Have an appreciation day where family members state what they appreciate about each other, or a day of service where siblings try to brighten one another's day. One of my favorite homeschool ideas is to have a "mental health day" once per month where everyone sets their duties aside to relax and have fun. Go Outside - Taking school outdoors is a simple homeschool idea that adds sunshine to a dreary day and builds habits that lead to a healthy lifestyle. Read or complete lessons outside in your back yard. Take lunch to the park, or head to a local pond to feed ducks. Ride bikes around the neighborhood or take a few laps around the block to allow wiggly students to burn off energy between assignments. Book Club - If you no longer read aloud as a family, set aside one night per month for a family book club. Have every member of your family read the same book, or choose a topic and let each child select a book on their level. Have your children present background information about the subject and the book's author, and prepare a list of open-ended questions to discuss. These meetings will help your children develop conversation skills, and look forward to reading. Word of the Week - Place a vocabulary word on your dry erase board or refrigerator at the beginning of the week. Discuss the word and its meaning, and encourage your children to use it in a sentence. Throughout the week, keep track of the number of times it is used in context, and reward the family member who uses it most frequently. Family Newsletter - Publishing a monthly, quarterly or semi-annual family newsletter will help boost your children's writing and computer skills. Prompt your children to write about family news, community events, hobbies, books, movies or subjects they have studied. You can also include artwork and family photographs. Assign each child an area of responsibility or let children choose their own topics. These newsletters will help you remember your family's adventures for years to come. Celebrate Holidays - Decorate your home, dress up and make special meals for holidays. Research the day's origin and traditions, and how it is celebrated in other parts of the world. Celebrating holidays is a great way to study history and culture, and create memories. 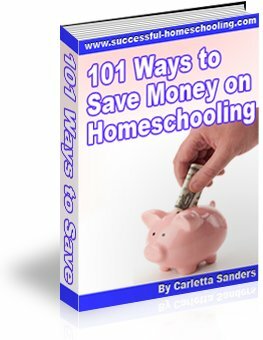 Here are some ideas for celebrating homeschool holidays. Debate Night - Separate your family into teams and choose a subject to debate. Encourage your children to learn as much as they can about the topic. Help them organize the information, and develop and evaluate their arguments. Debates help children develop critical thinking skills and confidence speaking before groups. This is also a fun way to teach your children research skills, and help them develop an interest in history and current events. Homeschool Games - Set aside one night per week for a family game night. Order pizza or prepare a favorite meal. Turn down the ringer on your telephone, turn off the television, and focus on your family. Chess, Scrabble, Monopoly and other games are great for math and language development. Here is some information about choosing homeschool games your family will enjoy!